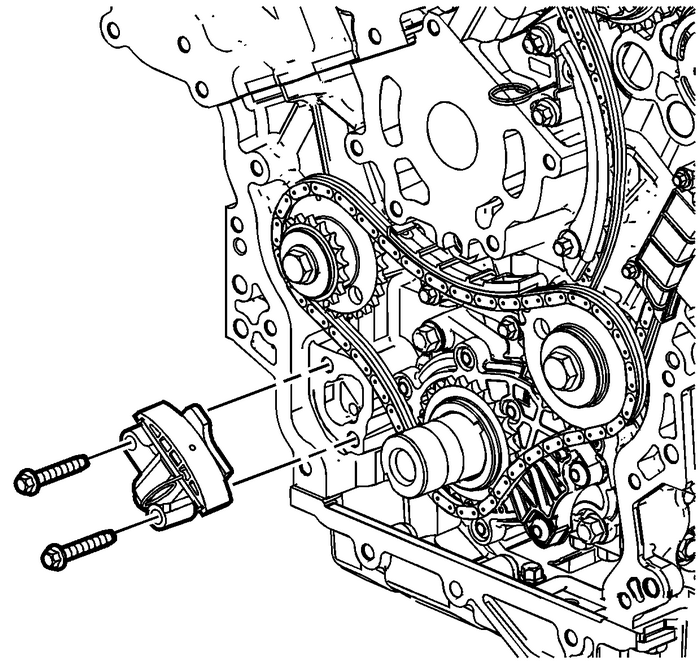 Note:If the entire camshaft timing system is not inStage-2,Timing Chain Alignment Diagram, mark the timing chain andsprockets in order to ensure proper reassembly. Install the primary camshaft drive chain tensioner. Refer toPrimary Camshaft Intermediate Drive Chain Tensioner Installation.Install the engine front cover. Refer toEngine Front Cover Replacement.